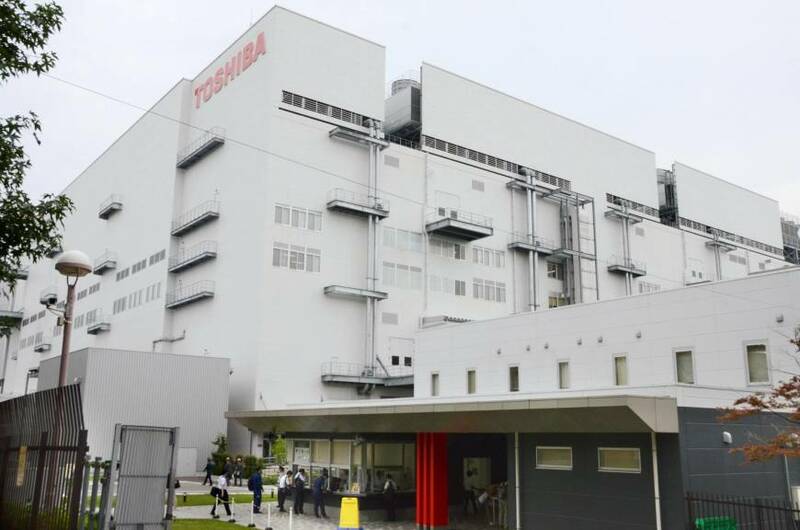 Toshiba Memory Corp., the world’s second-largest maker of NAND flash memory chips, is considering changing its name in 2019 as it seeks to introduce a new brand and raise its profile in the intensely competitive market. “As we have become independent of Toshiba Corp. we need to think about how we can add value to our products. … Changing the name of the company is one way,” Toshiba Memory President Yasuo Naruke told a news conference Monday in Tokyo, adding he is looking to list the company on the Tokyo Stock Exchange in about three years. Toshiba completed the sale of the profitable chip unit to a Japan-U.S.-South Korean consortium led by U.S. private equity firm Bain Capital, for ¥2 trillion last Friday in an effort to raise cash to bolster its financial standing. 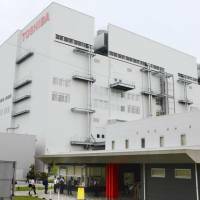 Toshiba Memory has been the main profit engine for the parent entity, with the unit posting record sales of ¥1.2 trillion in fiscal 2017, eight times more than the ¥151 billion posted in fiscal 2001, thanks to robust demand for flash memory used in smartphones and computers servers. To catch up with market leader Samsung Electronics Co., Naruke said flash memory production at a new facility in its Yokkaichi plant in Mie Prefecture is expected to start this summer and at a new plant in Kitakami, Iwate Prefecture, in 2020. Toshiba Memory’s global share by revenue of the NAND flash memory chip market stood at 19.3 percent in the first quarter of 2018, second to Samsung Electronics Co.’s 37 percent, according to research firm TrendForce Corp.
Yuji Sugimoto, managing director of Bain Capital, told the same news conference that the U.S. investment fund will now take the lead in making “swift” management decisions for Toshiba Memory to deal with the fast-changing environment surrounding the chip market. “Of course since (Toshiba) will be a large shareholder, we will need to report and communicate, but regarding the management of (Toshiba Memory) Bain will do it,” Sugimoto said. Bain holds 49.9 percent of the voting rights in Toshiba Memory, while Toshiba has 40.2 percent and Japanese optical glass maker Hoya Corp. 9.9 percent. SK Hynix, Apple and other U.S. companies participating in the consortium will not initially hold voting rights. The three executives of the newly unveiled five-member board of Toshiba Memory are from Bain, while the remaining members are Naruke and Hiroshi Suzuki, chief executive of Hoya. electronics, M&A, Bain Capital, Toshiba Memory Corp.